Get quick facts on the F55, F56 and F57 Minis at Autocade. Time to get out The Italian Job soundtrack. Every time a Mini comes up for testing, I get my CD case, and the following days are spent getting to know the new car while enjoying the Quincy Jones themes, and singing along to ‘Self-Preservation Society’. Except there was a hitch. 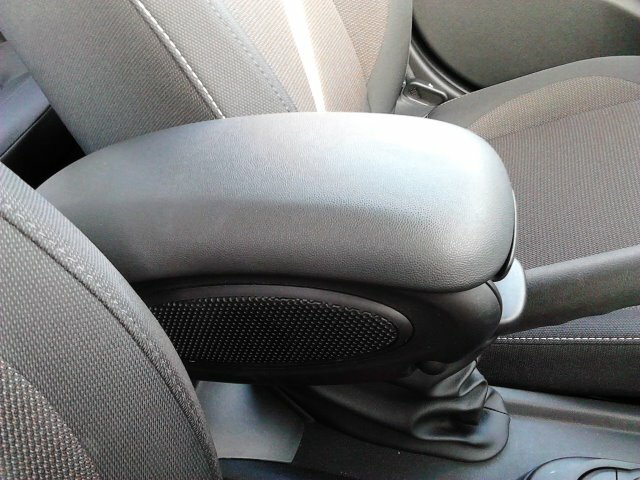 There was no slot for a CD player. Welcome to the 2010s, the age of electronic, portable music that you sync via Bluetooth. CDs are so last-century. 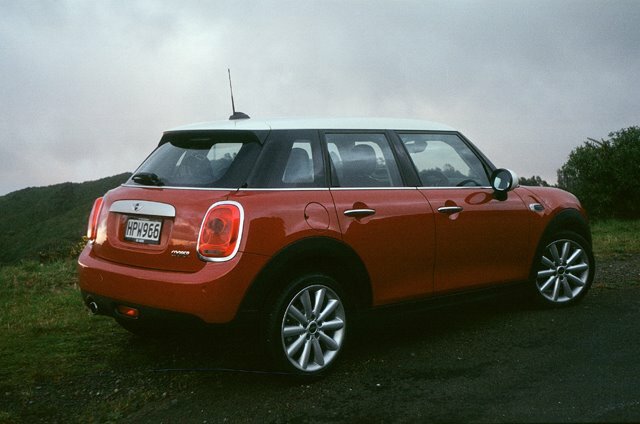 This isn’t the only change to the fourth-generation Mini, the third created under BMW management. The most obvious one is the addition of two side doors on our test car, which some commentators, firmly in Luddite position, felt was a massive departure from Mini lore. 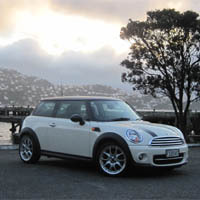 (Never mind that we’ve already had the Mini Countryman and Paceman, two derivatives of which there were no earlier parallels; or that no Mini made under British ownership had a hatchback.) When launched, what did surprise us was that the Mini F55, to use the BMW codename, had a longer wheelbase than the three-door, even though the designers have ensured that the front doors are considerably longer than the rear ones to maintain an appearance that’s as close as it can be to our preconceived ideas of what a Mini should look like. The extra 72 mm in the 2,567 mm wheelbase helps with access and rear-seat space, and brings the F55 closer into the C-segment market, which it never resided before. It’s not quite there—a Ford Focus is 2,648 mm, by comparison—but it does make the new Mini larger than the Fiesta. Once you get to the Clubman estate, you really are looking at C-segment space, with a still longer wheelbase and greater width. This fourth generation is more grown up, and larger than the third, one to shock those who still think of Mini as a 10 ft box from 1959. It is true that overall length is up as well, with the basic Cooper model tested here at 3,982 mm, which is 161 mm longer than the three-door. 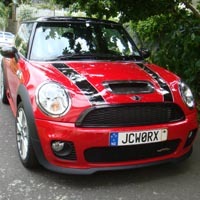 Go for the Cooper S and SD, which have an appendage below the grille, and the length increases to 4,005 mm. That brings Mini within reach of the Austin Maxi of 1969, which measured 4,021 mm in length, prompting the usual criticisms from traditionalists that the Mini isn’t so mini after all. The reality is that cars have grown regardless of segment, and it’s a phenomenon common to most brands. Very few vehicles manage to stay the same size with a new generation, though the size difference becomes apparent when you compare the F55 and three-door F56 with their predecessor, the R56. There’s a subtle increase in cabin length, which is welcome, but a lot has gone into the front end, to give the new Mini a more sporting, wedge look. It’s quite attractive, but the new Mini shatters one of those long-held ideals: that as much of the overall length as possible be given over to passengers. 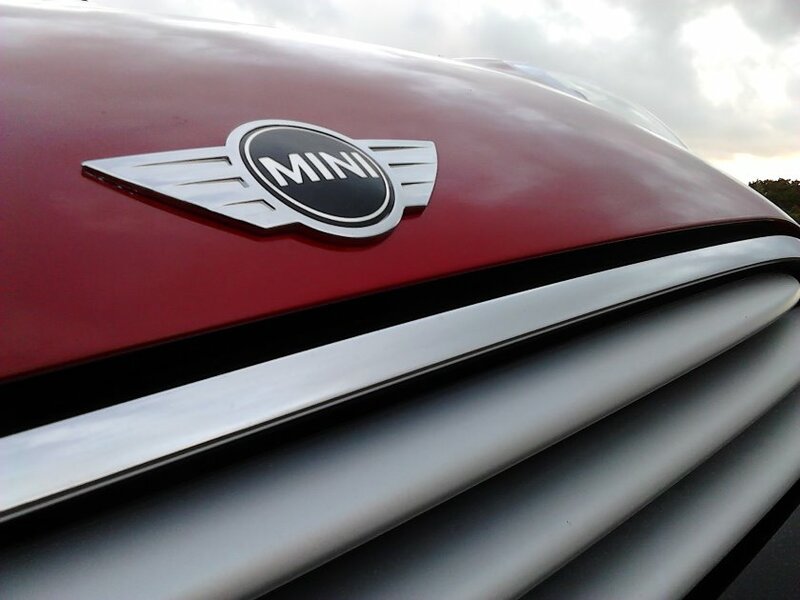 While that ideal’s not been the case since the turn of the century, when the second-generation Mini was styled to evoke memories of the original but reinterpreted as a premium product, this is the first Mini to go quite as cab-backward. Fortunately, we’re not talking long bonnets like a Rolls-Royce, and there’s still a wheel at each corner—that’s something Mini hasn’t given up. 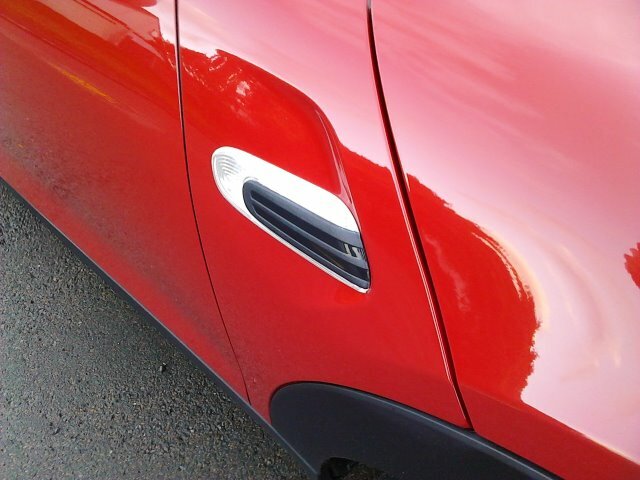 However, this is partly what contributes to the more sporty appearance. The car remains very easy to position and park, but F55 is grown up in more ways than one. As an ownership proposition, it appears more special, less utilitarian, but forget those notions of this being that small a car in terms of its footprint. If you’re after space from the B-segment, then the Honda Fit (or Jazz) has a slightly shorter wheelbase at 2,530 mm, a shorter overall length at 3,955 mm, but more of that is given over to the cabin. Mini, however, isn’t interested in winning on space. It is, however, interested in getting more conquests from other brands. By adding the two doors, all those who found the earlier ones appealing because of its cheeky looks and sporting appeal, but were forced to move on, won’t have the same excuse. Among small, premium cars, it’s largely unrivalled: the DS 3 still only has three doors, and you have to look at crossover or estate versions of the Fiat 500 before you can enjoy rear side doors. The Audi A1, which has a five-door option, is the Mini’s closest rival, but we have yet to test it to give a proper judgement. Ironically, one car that does have five doors, but is hardly in the same league, is a Chinese knock-off, the Lifan 320, which had five doors back in 2008, appearing in all its publicity photographs with the Mini’s trade-mark white roof and blacked-out A-pillars. The Lifan also serves as a reminder of why the Mini is premium and it is not: apart from the 320’s horrid build quality, the proportions are wrong, forsaking the wheel-at-each-corner stance. A buyer will see that and know they are driving around in a wannabe car. 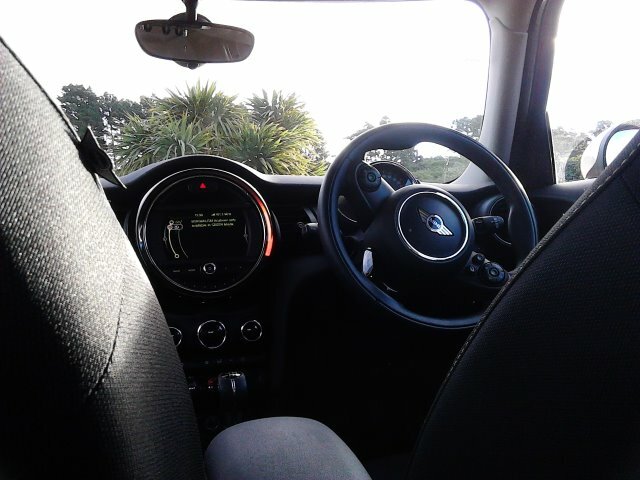 Behind the wheel is where comparisons with other brands end, because you know you’re inside a Mini. The large, central speedometer has been replaced by a Minified version of BMW’s familiar Idrive system, immediately familiar to anyone who has used it in the company’s sister brand. Mini jargon has crept into the system (e.g. Minimalism means BMW fuel-saving Efficient Dynamics; the Sport mode claims to give one the ‘Maximum go-kart feel’), along with Dalton Maag’s Mini Type fonts, but in terms of operation, it’s as logical and sensible as you would expect from the parent company. Again, traditionalists will be the only ones to complain, even though British Leyland, which made the Mini in the 20th century, eventually got rid of the central speedometer. We say this layout is preferable, because F55 and F56 see something very welcome: the location of an analogue speedometer in front of the driver, above the steering wheel. In the past, we didn’t mind the tachometer, which resided in the same spot, but having a small digital readout for the speed within that dial wasn’t logical. Nor was it that easy to read. BMW has eschewed what traditionalists might say in order to deliver something more practical, and we’re all for that. Quality is also up: our test car had materials that were nice to the touch throughout, especially the chrome switches. 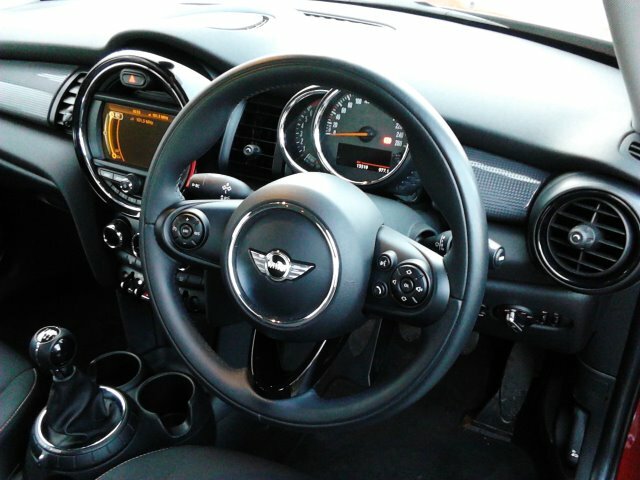 The chrome surrounds on the heater control scream “premium”, as does the stitching around the gear lever, and the petite Mini tags on the seats. It’s a classy interior. 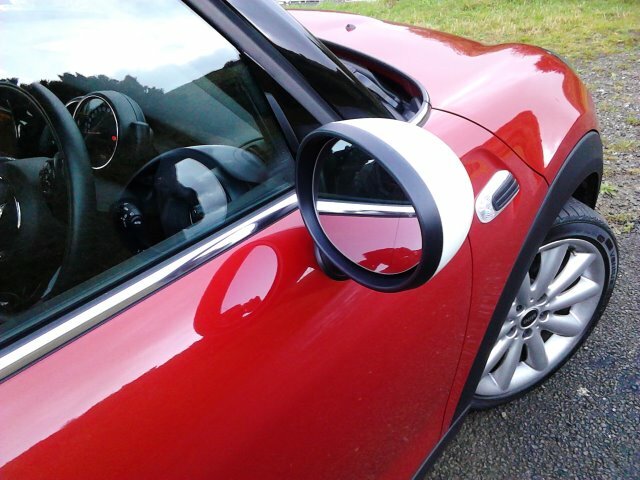 Those who fell in love with the Mini’s ease of manœuvrability and handling will feel completely at home. We did not detect the extra length initially, which is excellent news. 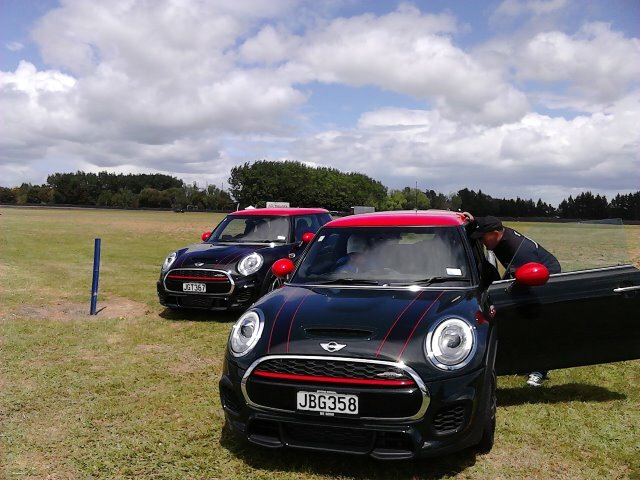 We only realized it after sampling the potent John Cooper Works models at Manfeild (see below) but as a round-town proposition, the Mini remains incredibly easy to drive. 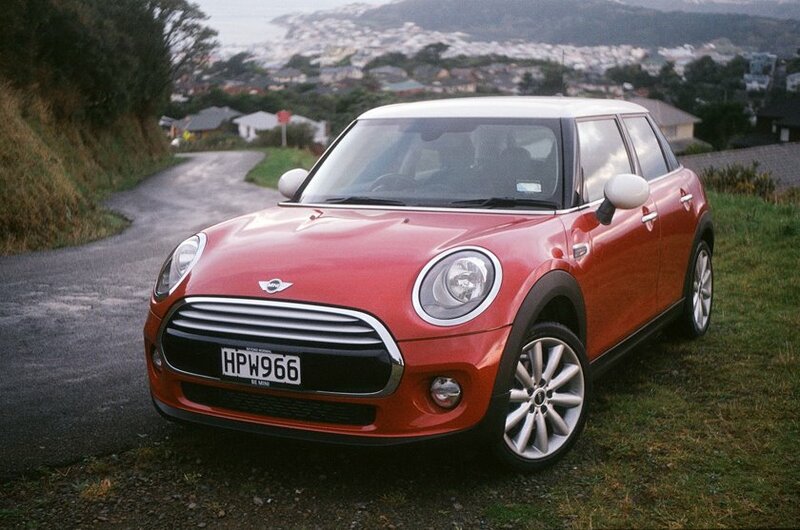 Taking it on to some trickier B-roads, the Mini felt right at home and, like its predecessor, immensely capable. The 230 Nm of torque from the turbocharged three-cylinder 1·5 comes on gradually in Mini’s standard mode, and it’s the Sport mode that best makes use of it, with no lag. The Sport mode gives you more of the 136 PS, with a more sensitive throttle, and firmer ride, though the steering could use more feedback. The engine is more at home here than in the BMW 218i Active Tourer, where it’s also used, thanks to the stiffer suspension. You can see just how much power and torque you are using with a ‘Driving Excitement’ read-out in the infotainment system, appealing to the modern gadget generation. 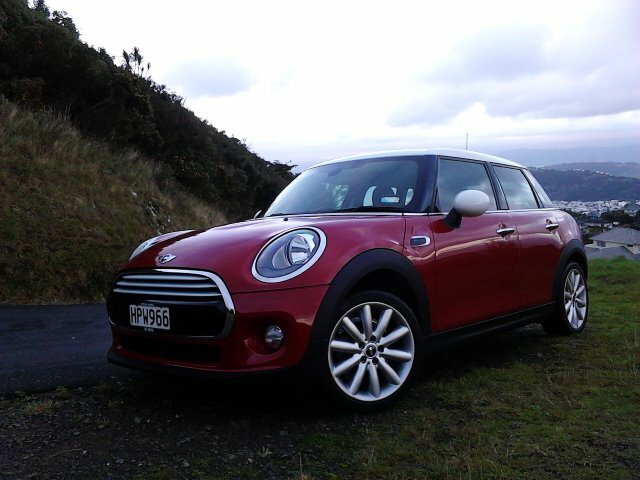 Where it also excels is the refinement, which is an improvement on the R56: this is a more solid, robust hatchback. It absorbed the bumps when we took it on some rough surfaces for our shoot; on the motorway it felt incredibly composed. The gearshift—refreshingly, we had a six-speed manual—remains one of the Mini’s chief assets, with short, sharp, precise throws of the lever, allowing for quick changes. It’s a car that you can still drive in a spirited fashion, but what has disappeared is a certain cheekiness. 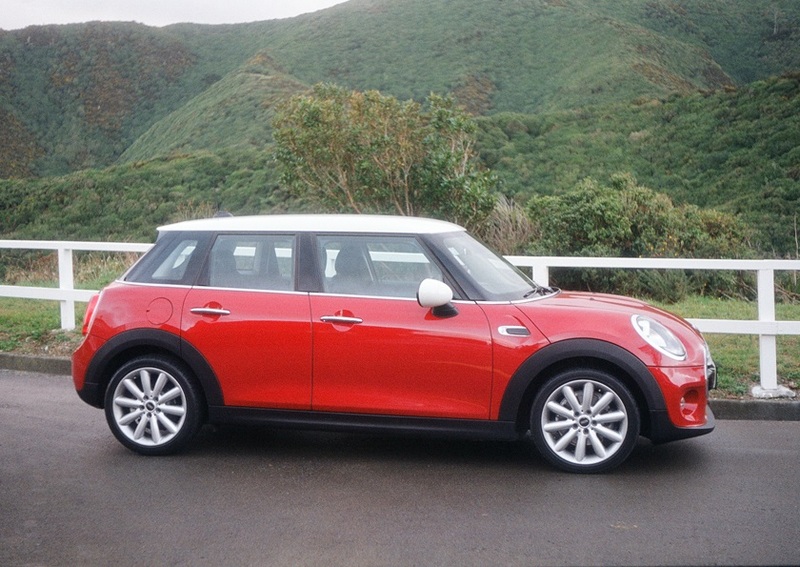 Mini knows this, which is why the Cooper S and John Cooper Works models exist, more forceful, powerful members of the family. 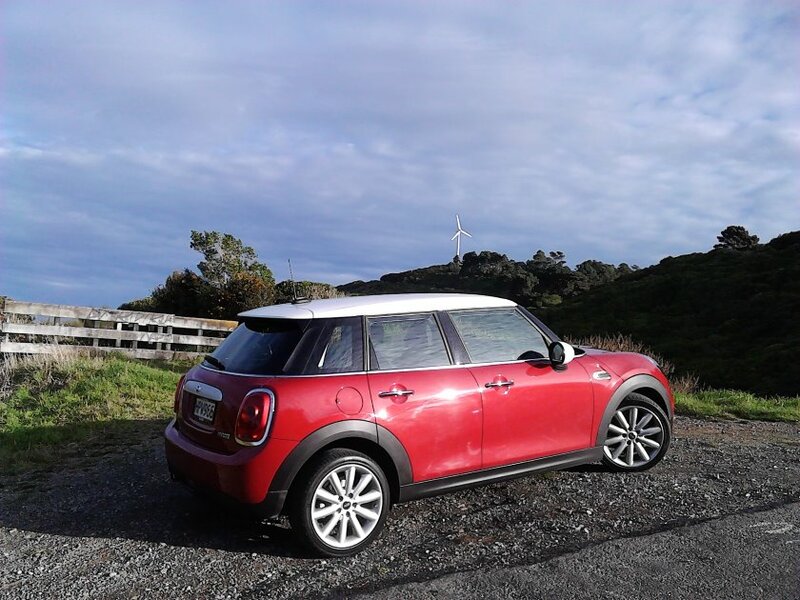 The Cooper, especially if you drive it in its environmentally friendly Green mode, is the sensible family member, with comfort its default mode. We gained an extra 19·5 km thanks to driving Green, which meant having a fuel-saving stop–start mode, and, at the end of our test, 46 mpg (Imperial) or 6·1 l/100 km. 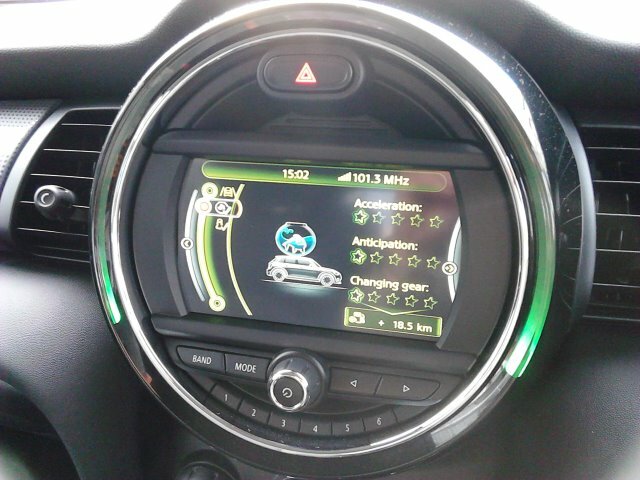 We could even monitor how frugally we were driving through a Minimalism Analyser, telling us about our acceleration, anticipation and gear changes, and an animated fish in a bowl graphic as a summary of just how well we were doing. The opportunity to save fuel and to have comfortable journeys are exactly what the five-door buyer will want: how many buyers will demand seat-of-the-pants driving on the daily run? If you must have that, then the S, with an additional 56 PS, is the one to aim for. Last month’s Mini Track Day at Manfeild is precisely the sort of event that helps contribute to the image, giving Mini buyers, and members of the press, a chance to go heavy on the right foot and take the cars through different exercises that show off their handling and power. 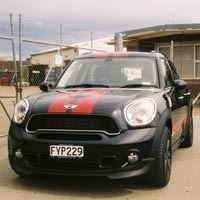 Headlining the acts were a number of John Cooper Works models, in the latest F56 incarnation, but there was also a Cooper five-door in Sport mode to remind us that the Mini spirit is present in the entire range. It was only in comparison to the shorter three-door that we noticed the extra length of the five as we drove it, but without the back-to-back comparison we could have been none the wiser. 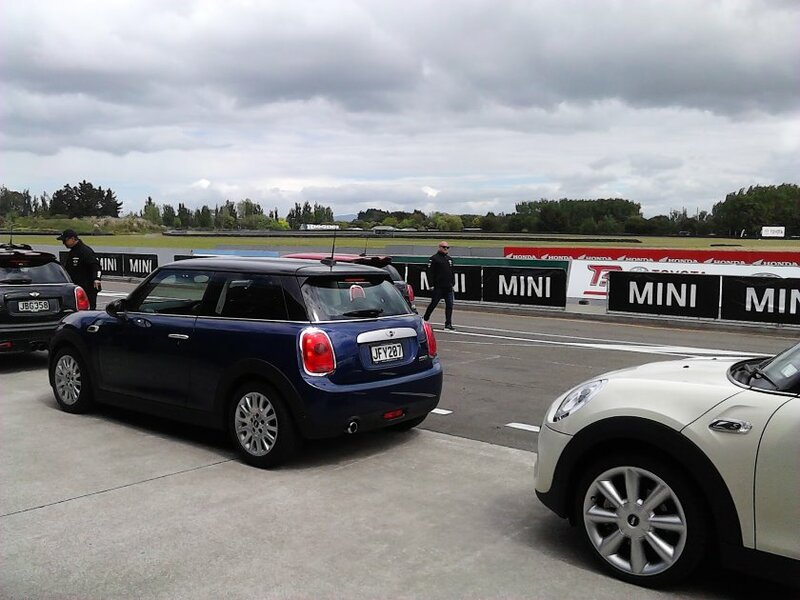 Doing the slalom, a braking exercise and a gymkhana showed the Minis off wonderfully, and on more than one occasion we heard the words go-kart feel in the instructors’ briefings. The five-door was chosen for the slalom, which was our first event of the day: a good way to get reacquainted with the latest Minis. A base three-door was parked on the grass. 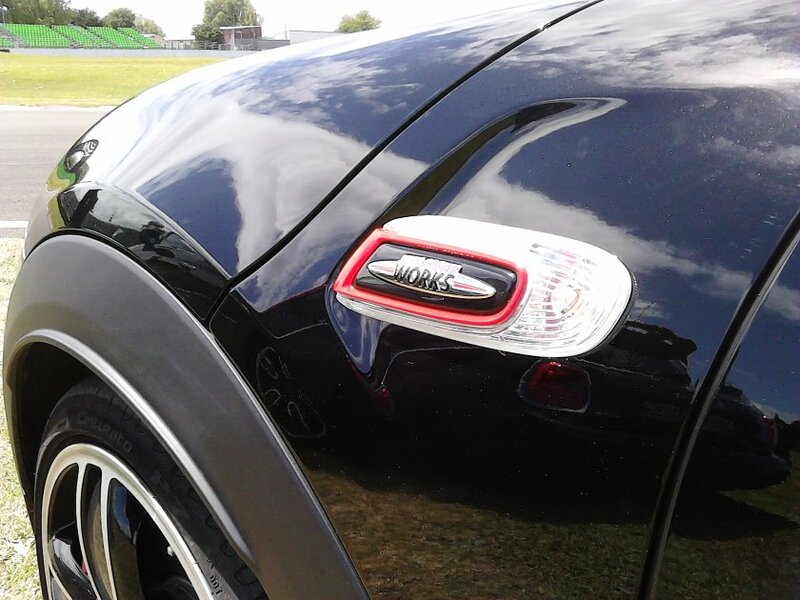 We had to see what speed we could get the Mini JCW up to and brake it in a straight line, ending up between a set of cones, showing off its performance (170 kW or 231 PS, the most power ever offered as standard) as well as its throaty exhaust noise. The gymkhana, meanwhile, was the perfect test of the Mini’s handling, and we were again blessed with two JCWs to fling through the course. There was some competitiveness between the three groups there, as each person tried to get the most out of the cars. Over lunch, we were given a first look at the new five-door F54 Mini Clubman, wider than the F55 and F56, considerably longer (by 270 mm compared with the five-door saloon) and wider (an extra 73 mm), and with horizontal lights adorning the rear barn doors. Opinions from Mini buyers were incredibly favourable. If you talk to those who have spent tens of thousands of dollars on a new car, they see the Clubman for what it is: another way to experience their love of the Mini brand. It may be up to challenging the Golf Variant, but who has ever referred to the Golf as a big car? It is the biggest derivative of the basic Mini, but relative to modern SUVs, the Clubman isn’t the behemoth traditionalists make it out to be. 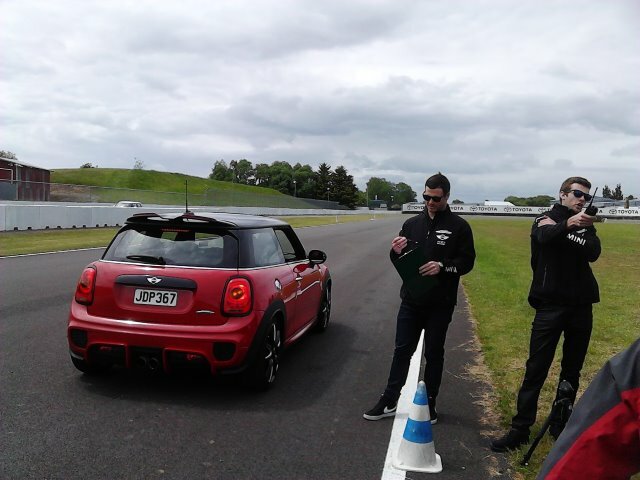 We were then let on to the track for a number of circuits in the John Cooper Works cars, following one instructor, although this meant that the ton mark was hard to come by. 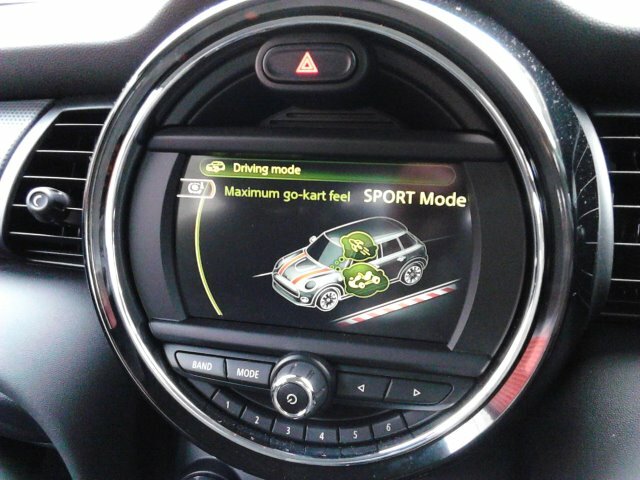 It was at this stage that we realized the paddle shift in the JCW was ideal, compared to another driver who had to shift manually—on the track, you need those tenths of a second. As if to show that we weren’t anywhere near the limits of the cars, we were taken out in groups with the instructors who happily raced each other, with us in the passenger seats.